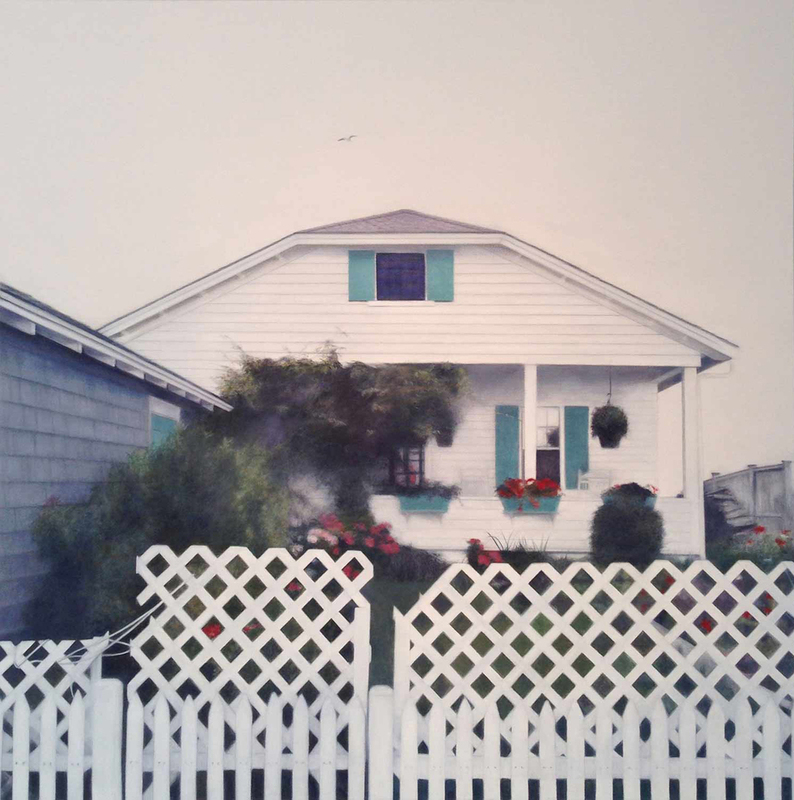 At the intersection of memory and disintegration lie the homes and built structures of the Narrow Lands – an architectural geography of history and time along the Outer Cape. 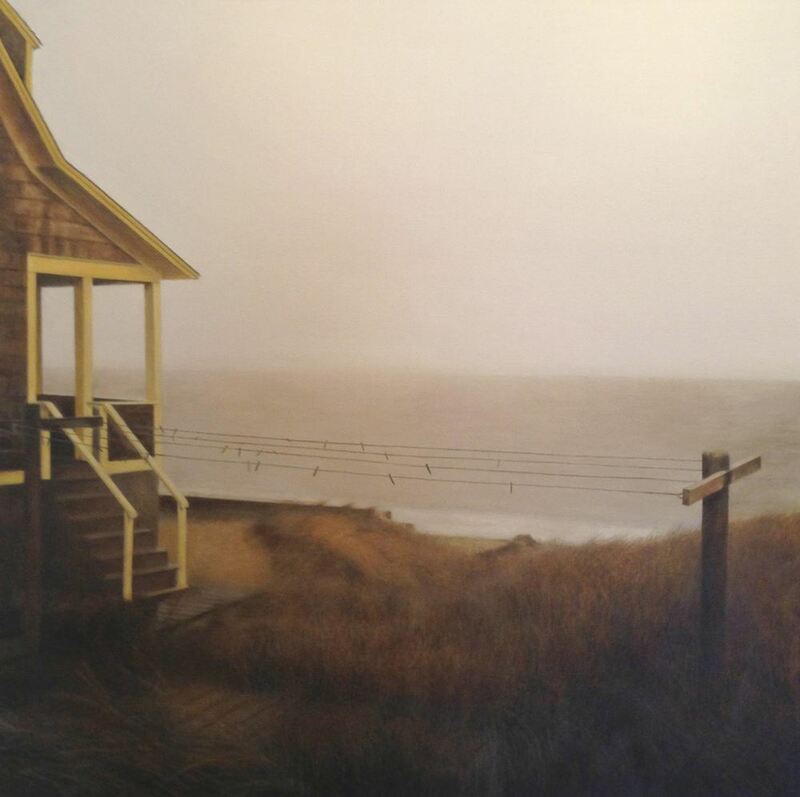 Along this thin spiral of land and water, the shifting of sand and silt and spray create inexorable change in natural terrain – a relentless force of transformation that likewise erodes, reclaims, and reconstitutes the people and structures of Provincetown. 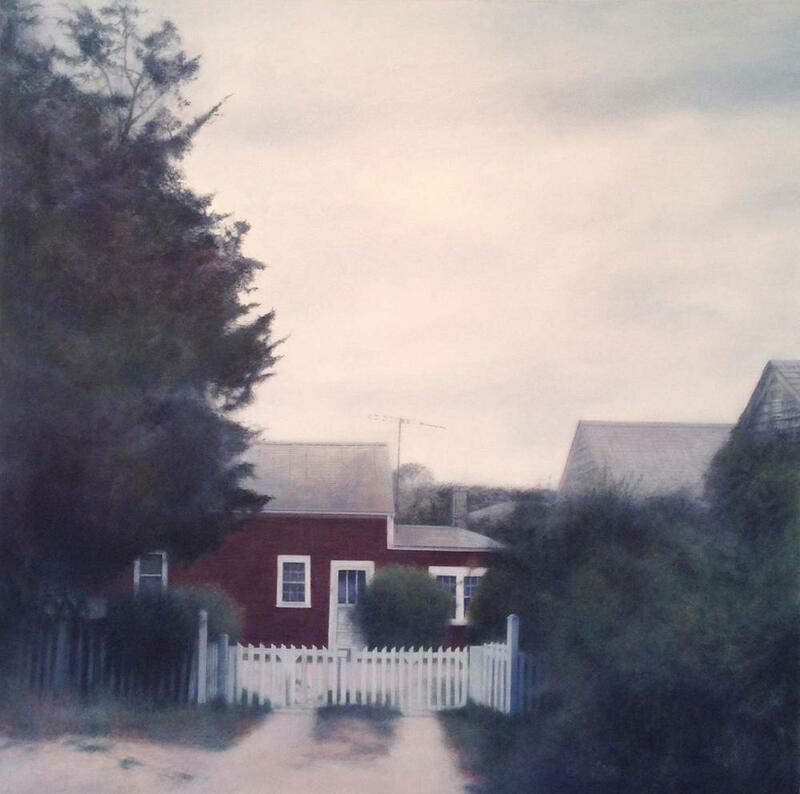 In Narrow Lands Martin explores the decomposition and erosion of built structures on the Outer Cape – homes that have been historically maintained, as well as those abandoned for reclamation by nature or by sale of the land. 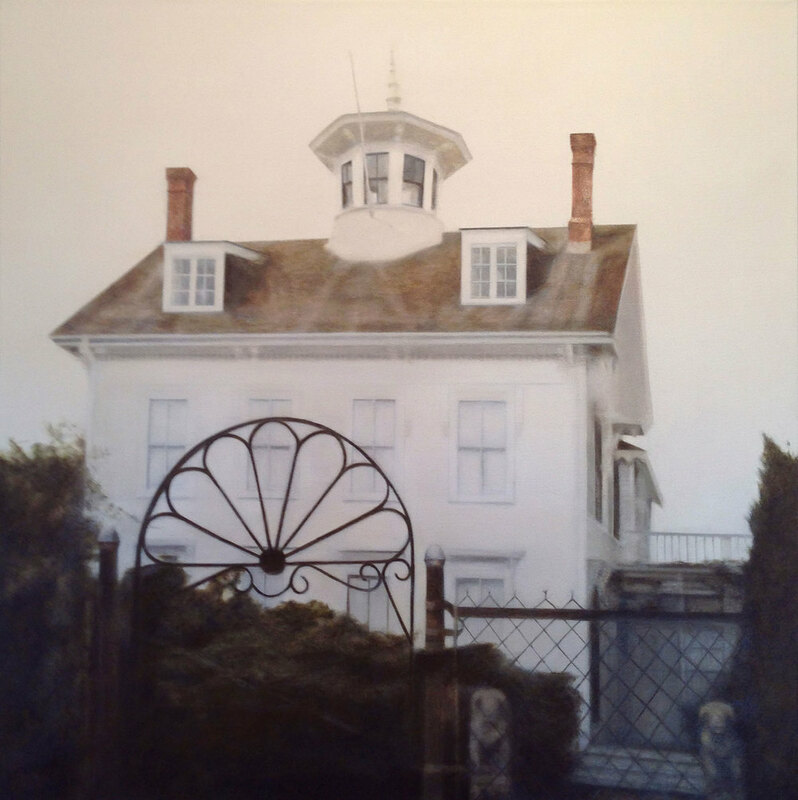 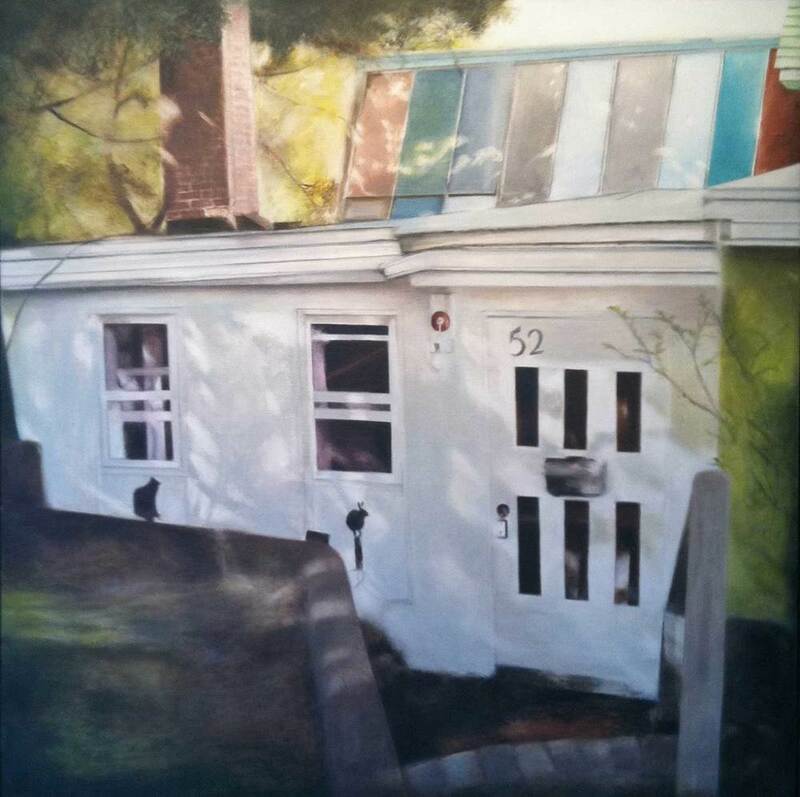 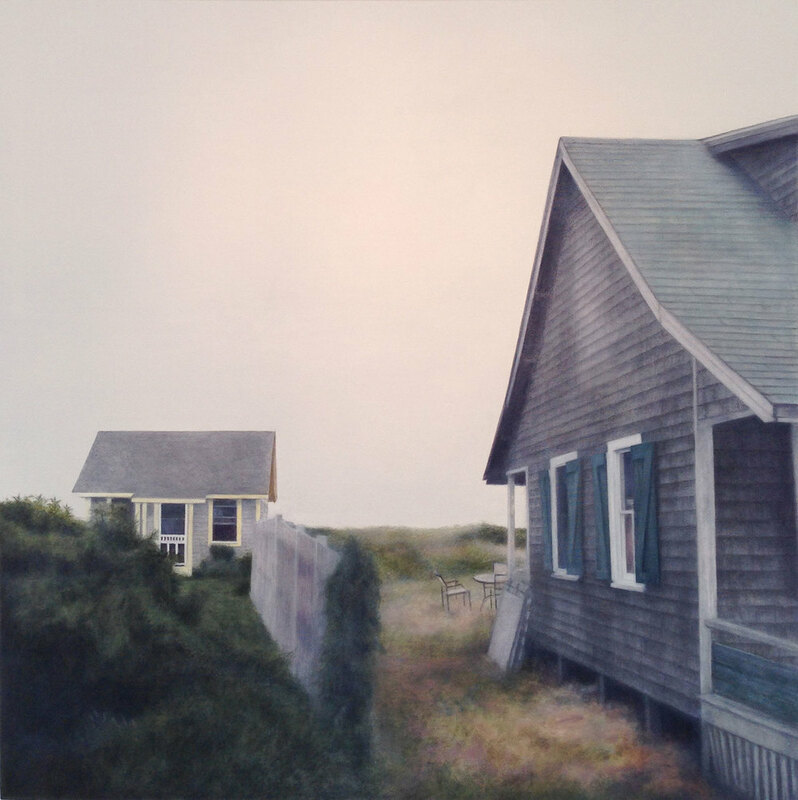 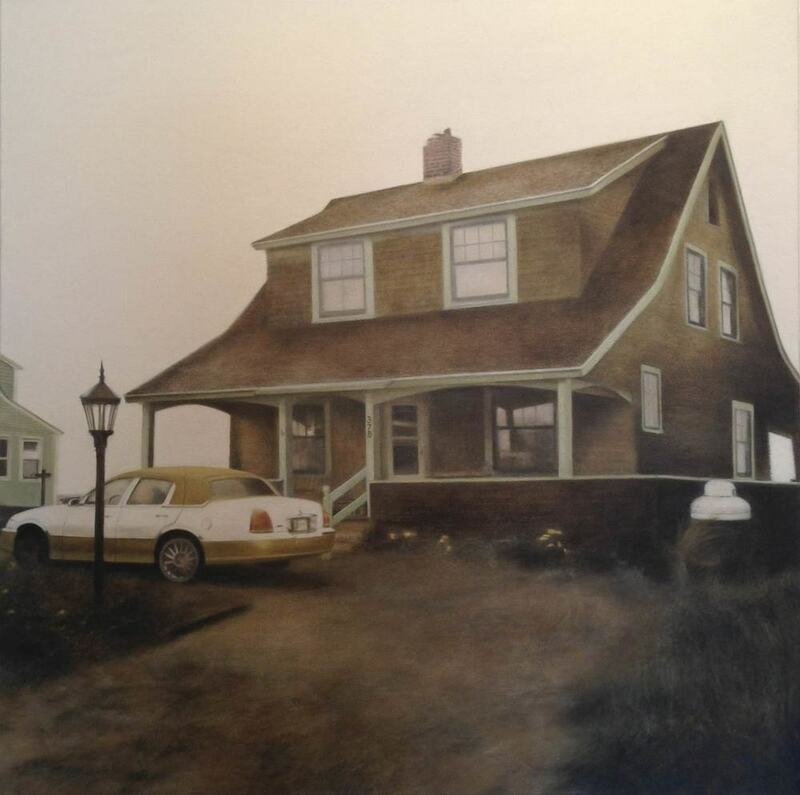 "Martin’s paintings that feature structures on the Outer Cape have justly warranted comparisons to Edward Hopper’s. 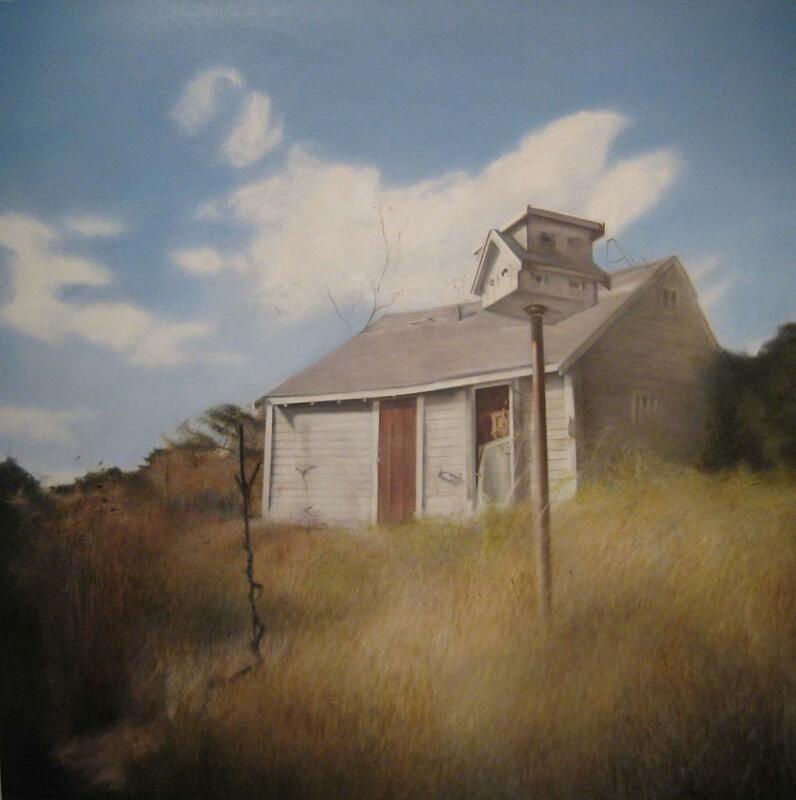 Like Hopper’s paintings, Martin’s interpretations provide neither a critical nor celebratory stance. 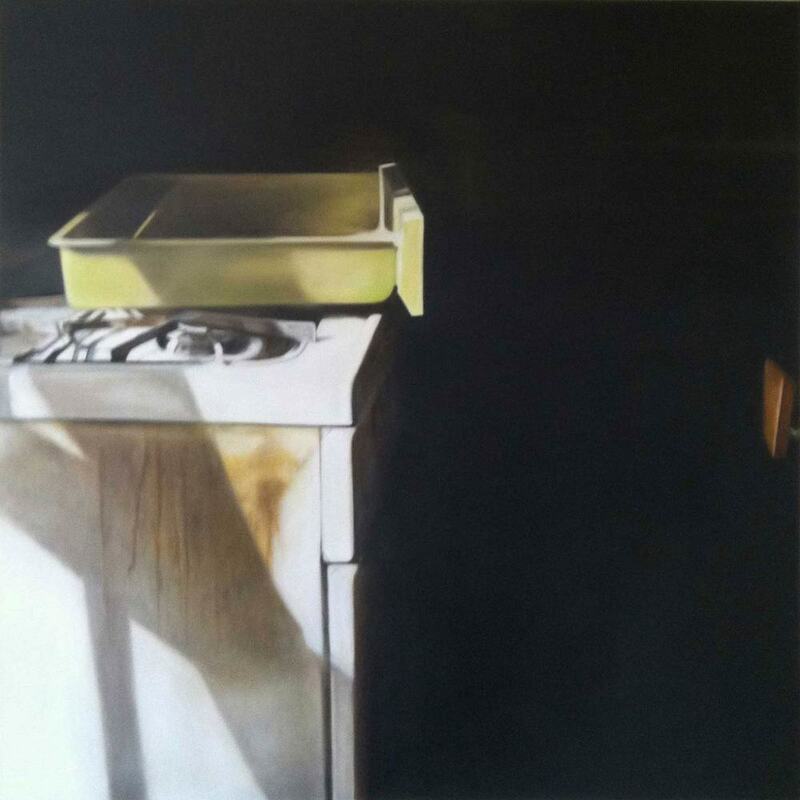 Unlike Hopper, however, Martin’s application of paint is undetectable." 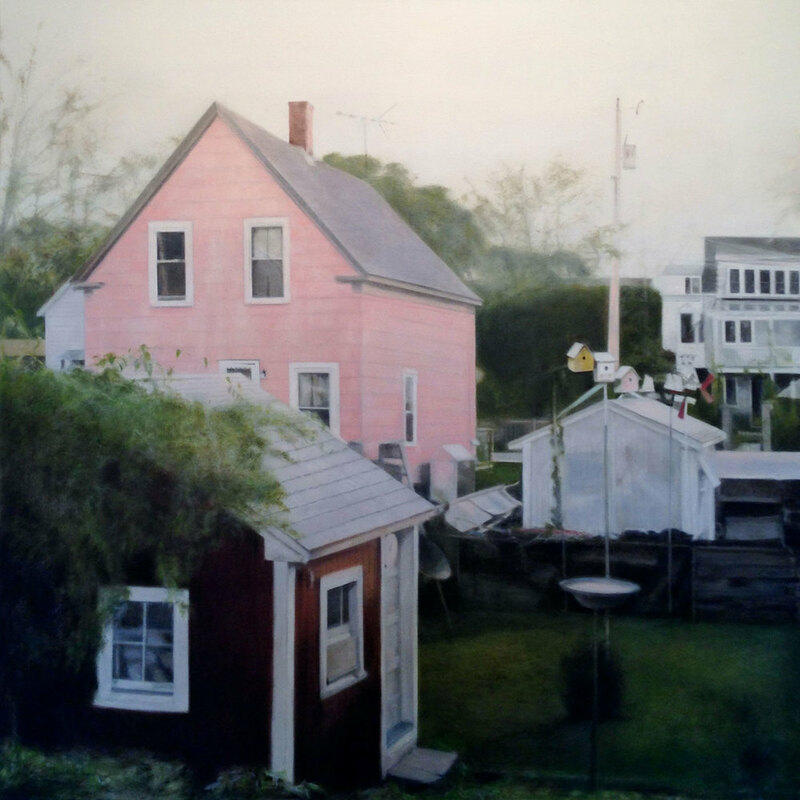 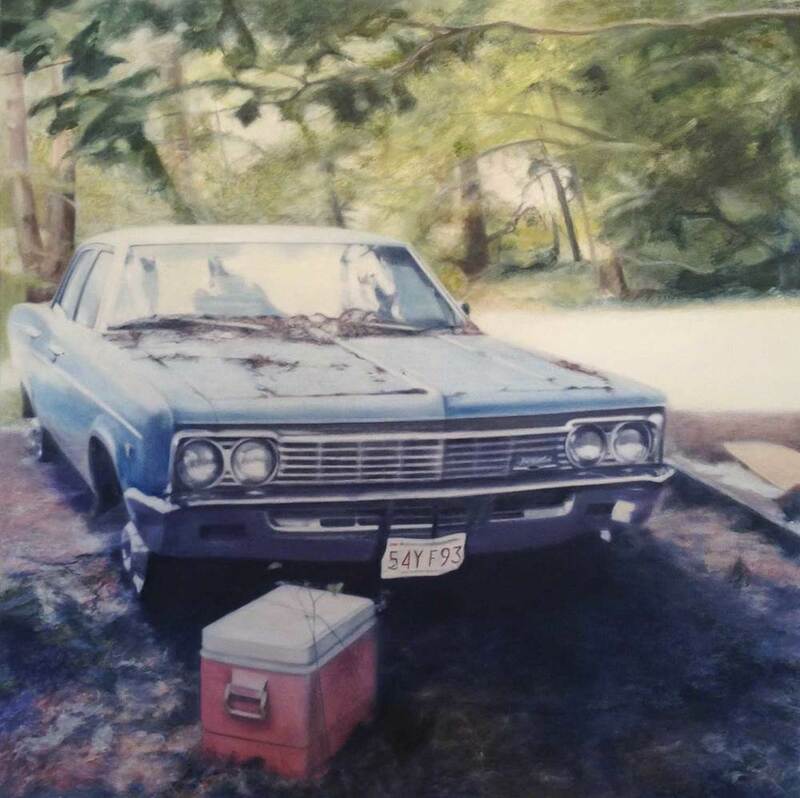 "While Martin has been compared to Truro’s Edward Hopper and Maine’s Andrew Wyeth, her brushwork has an open, flowing spontaneity; still, her subject has much in common with painters whose melding of landscape and structure offer a template for isolation and separation. 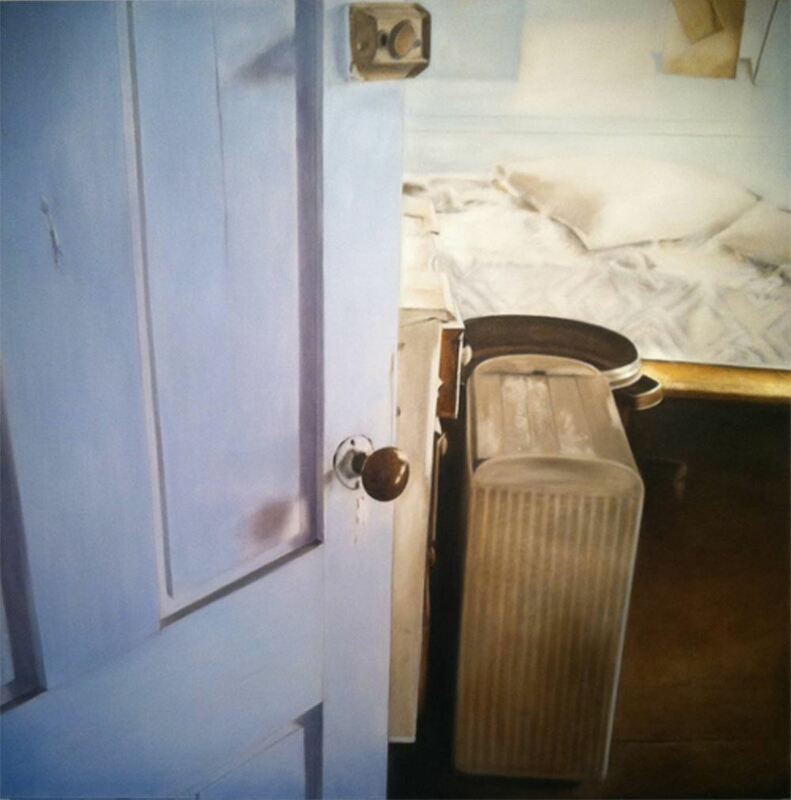 Martin’s paintings share Hopper’s sense of mystery: scenes tiptoe close enough to their off-balance subjects without intruding. 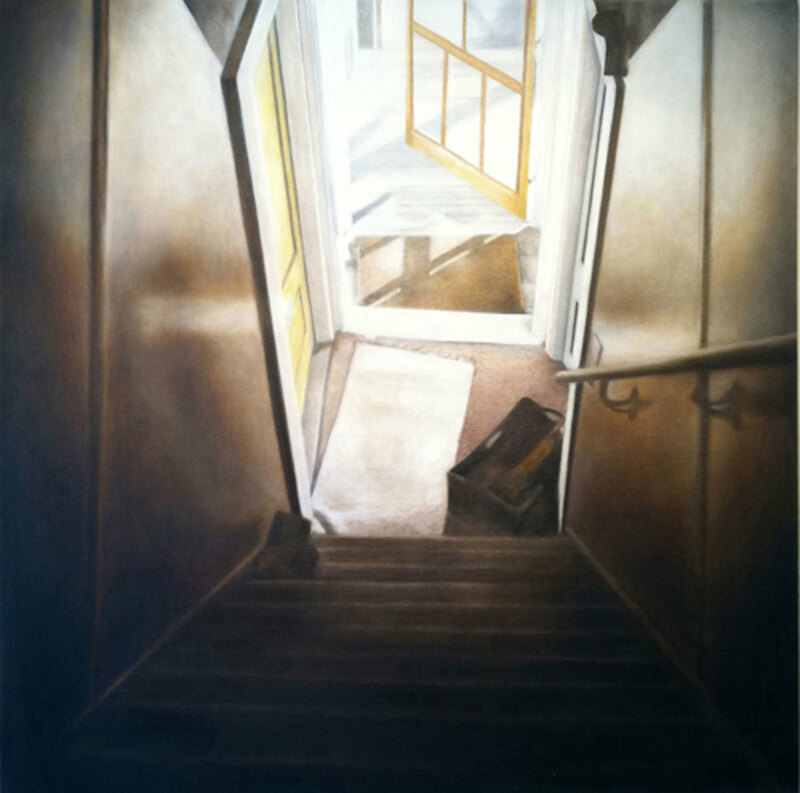 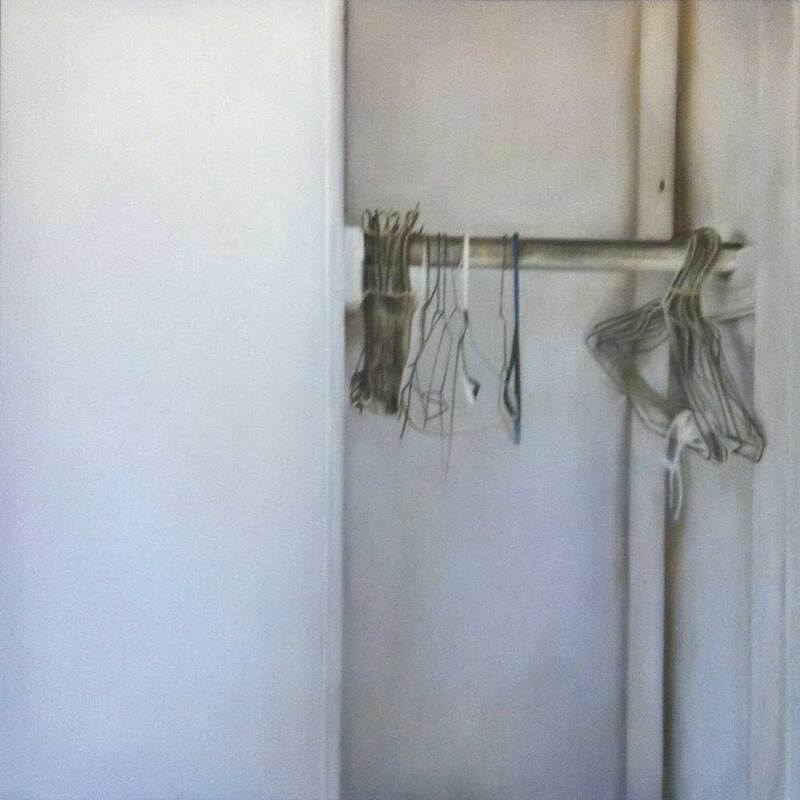 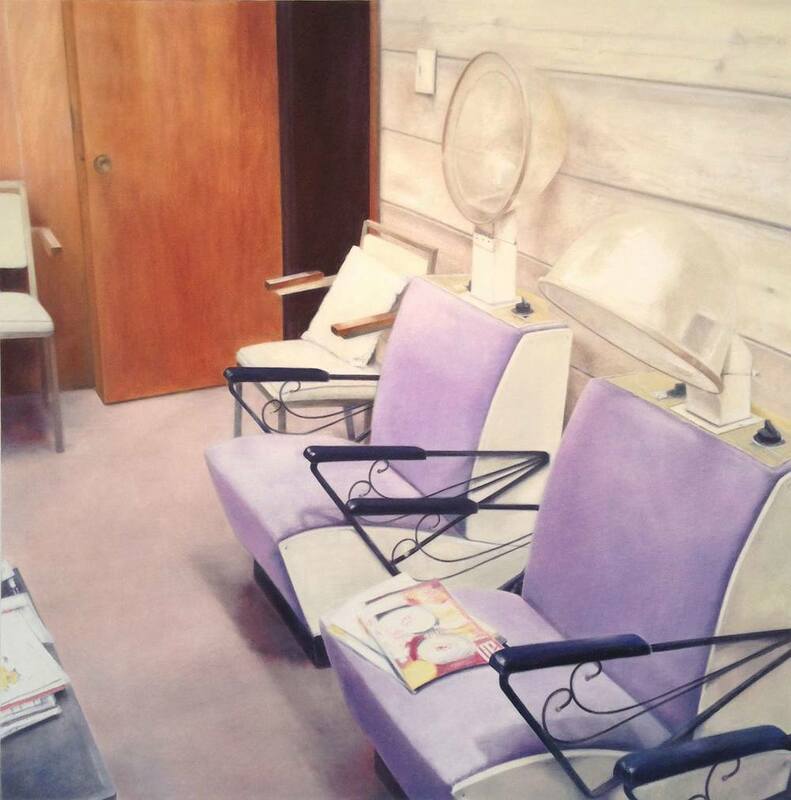 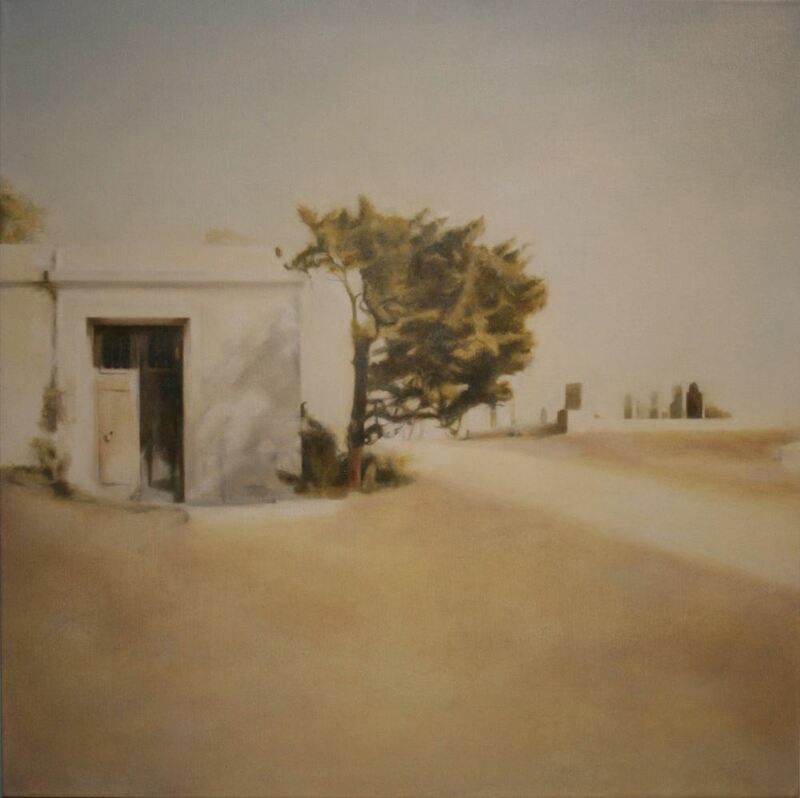 In the desert paintings, Martin’s interest is what is lost when hardscrabble land attracts a developer’s eye; in her “Narrow Lands” series, a soft palette intimates the loss of the built environment, abandoned or gentrified into oblivion."